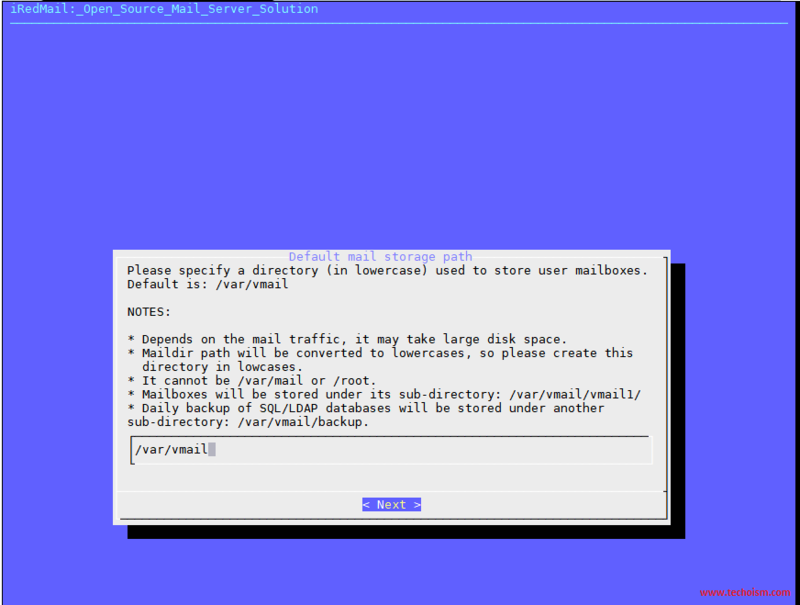 iRedMail is open source mail server on Linux server. iRedMail gives numerous features, for example, it is totally safe and secure as the entirety of its components are open source. Your security is totally ensured as the application and data are stored on your own hard drive. The best part of iRedMail is that it’s provides web based admin panel from where admins can do all the email related operations task like managing users. Some of other features are listed below: Support unlimited email accounts. An interface between Postfix and SpamAssassin, ClamAV. Used for spam and virus scanning. Fail2ban scans log files /var/log/maillog file and bans IPs that show malicious system attempts. 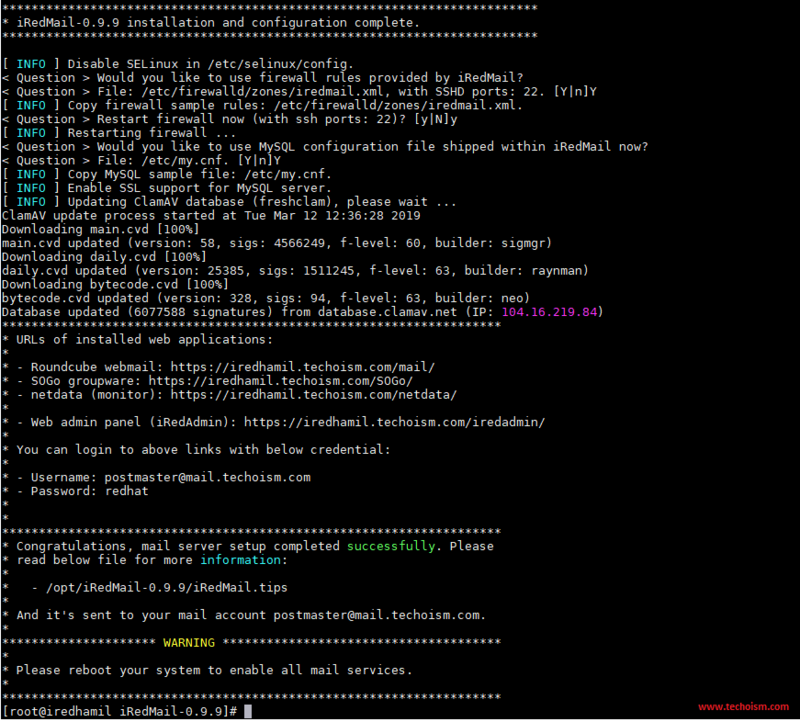 First we need to install some required packages before starting installation of iRedMail. Also you need to set a fully qualified domain name (FQDN) hostname on your server. You can verify the FQDN using mention command. Now you will need to disable your SELinux because iRedMail does not work with SELinux policies. Reboot the machine to reflect the above changes. Download latest version of iRedMail from their Official Website or use the below link to download iRedMail. Extract iRedMail using mention command. 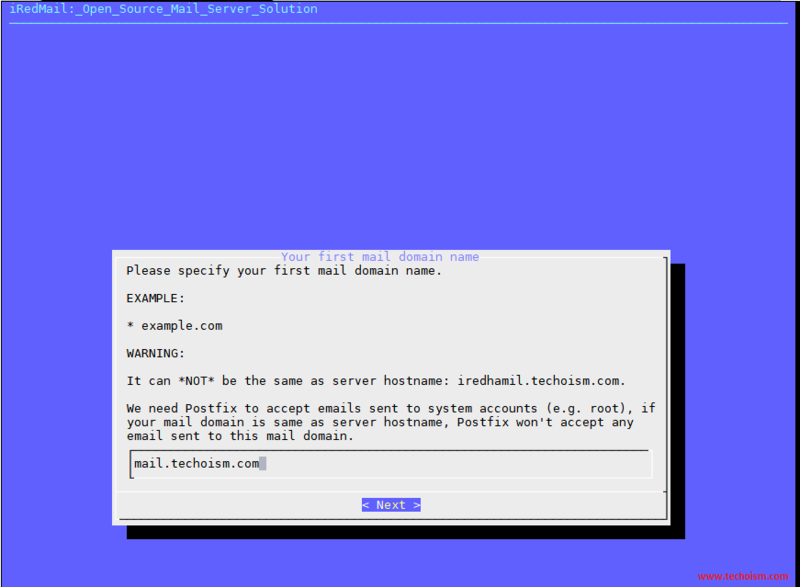 After extracting the file execute the iRedMail script to install iRedMail mail server. Welcome to the iRedMail setup wizard. Click “Yes” to proceed. By default, iRedMail stores user mailboxes on /var/vmail. If you want to change the default location change it and Click on Next. Choose the Web Server you want to run and Click on Next. Select any of the database you want to chose to store mail accounts in backend and Click on Next. 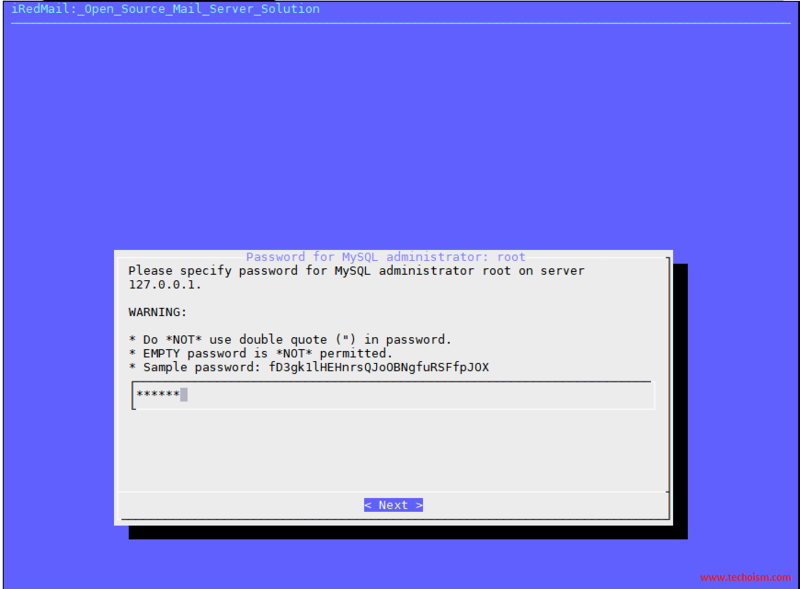 Specify the MySQL root password and Click on Next. Please specify your first mail domain name and Click on Next. 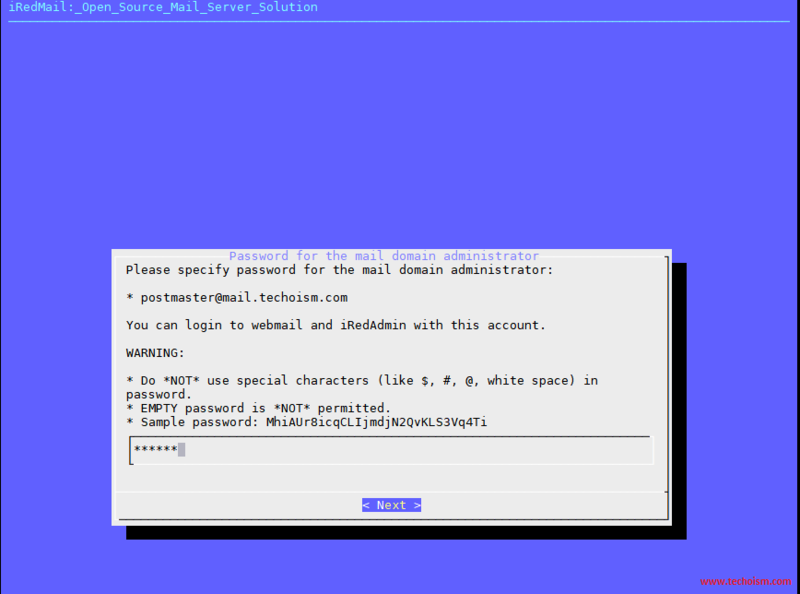 Please specify password for the mail domain administrator and Click on Next. These are the optional components so select the components as per your requirement and Click on Next. If all the information is correct type Click on y and press Enter. 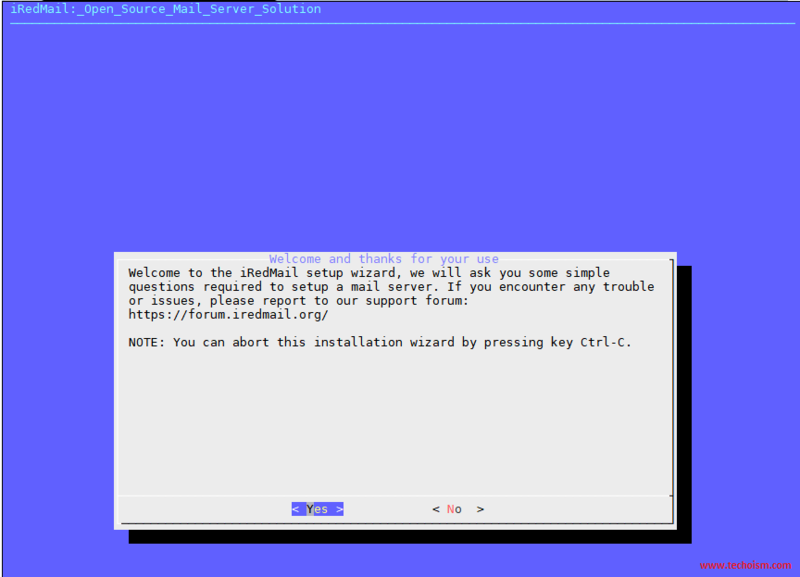 iRedMail installation has been started. 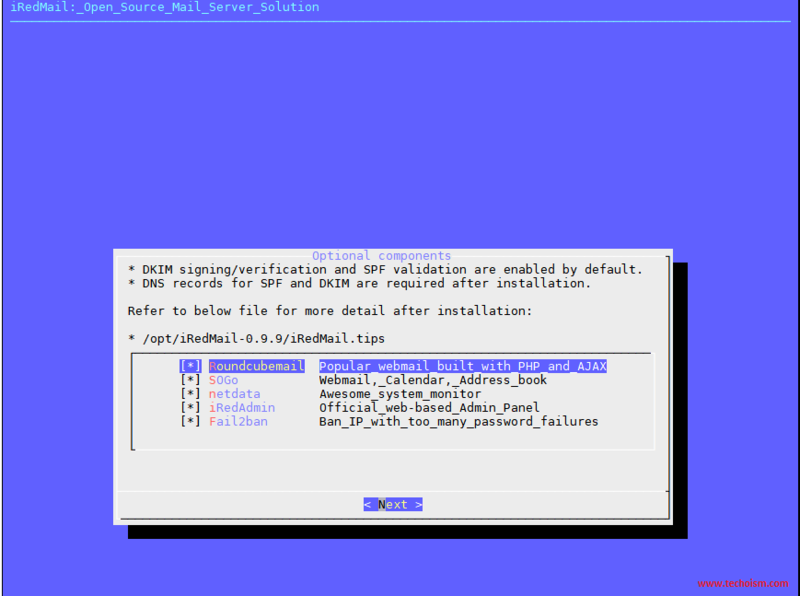 Set some other below configuration to completed the iRedMail installation. Note: Default configuration of iRedMail. Access mention URL in browser to access iRedMail admin panel. Access mention URL to access Roundcube webmail.